We are specialist in style, colouring and colouring corrections. 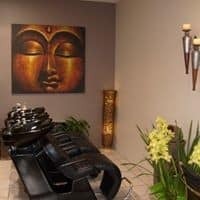 We provide a relaxing head massage with our Goldwell treatments. The Salon For Hair provides an atmosphere that is relaxed, friendly and professional to all clients, Our senior stylists are well trained in all aspects of hairdressing, specialising in cutting, colouring and colour correction, The Salon is a Goldwell salon who provide us with a superior colour for our clients and there is ongoing training for the stylists to keep up to date with the latest colour trends and seasonal collections, call us now. Follow our instagram to keep up to date on what is happening with our salon. I heard about The Salon for Hair from a friend and from my first appointment I have been incredibly happy. The stylists offer great service and are peronsable - Hayley is AMAZING, she listens and works with you to ensure a great end result. The owner Di is very happy and accomodating to the needs of her customers. 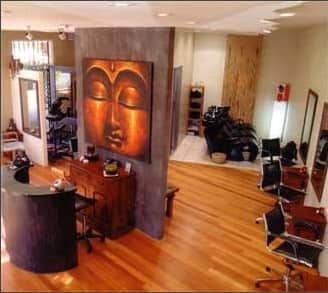 Overall, the service and value you receive from The Salon for Hair make sure the price you pay worth it. 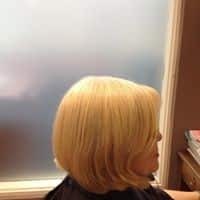 I've been getting my hair done at Salon for Hair for over 3 years now, and 98% of the time I am very happy with the service - their owner Di is always super friendly and my hairdresser Hayley is absolutely superb - she understands what I ask for and executes it perfectly every time. I've moved houses and I still go back to get my hair done by her. However that being said, I think with most hair salons, your experience will vary based on the stylist you get, and not everyone gels with their stylist on their first go. I've had a one off missed experience where my need was miscommunicated to a stylist that normally doesn't do my hair - he cut my hair waaaayyy too short, however that's probably my own fault for not sticking with my normal stylist (she was on holidays at the time). Overall very good service, I bit pricey but you pay for what you get. 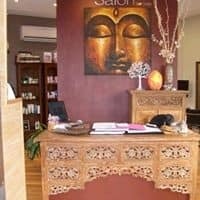 The Salon For Hair Turramurra was EXCELLENT! I went there for the first time a few weeks ago and felt very welcome by all the friendly staff, with many of them coming over to have a chat and introduce themselves. The colour (half head of blonde foils) was creamy, fresh and exactly what I wanted which was a relief as I have a significant amount of gold/yellow in my hair which has been proven difficult to combat in the past. I arrived for my 21st hairstyling session and was not received in a welcoming fashion at all. The hairdresser was not friendly, or chatty and I felt like I had to work to make conversation. The hairdresser did not agree with my hair style choice( basic ghd curls) which have worked in my hair before and instead decided on a totally different style. It was hideous, by the time my hair was done the right way it had no life left and it would not keep the curls. If the hairdresser was having a bad day, I am sorry but it ruined my special night! Never going back! So sorry to hear that story by newintown. As the salon owner it is my worst nightmare when something like this happens.It is not our intention to spoil such a special occasion. There was clearly a breakdown in communication. 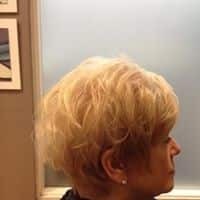 I have four senior stylists that are all amazing hairdressers and very caring towards their clientele so I am very surprised to hear that you were not greeted with enthusiasm and that you were not happy with the outcome. Sincere apologies from all of the staff at the salon. I can't imagine this would have happened at The Salon For Hair Turramurra. All the staff were great and styled my hair exactly how I wanted it..
LOVE, LOVE LOVE this salon! Everything about it is AMAZING! Atmosphere, friendly, happy and competent staff. Value for money - you get what you pay for - really that sums it up for me! 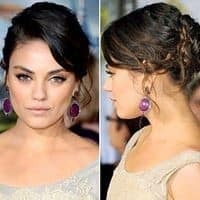 If you are looking for a change give The Salon for Hair a go, I wouldn't hesitate to recommend them, they all appear to have a good grip on the latest trends for hair. My stylist Andy has now been doing my hair for 7 years and I followed him here from his last Salon. It has been a very rewarding change for me, my hair always looked good after a visit to Andy but it now looks amazing!